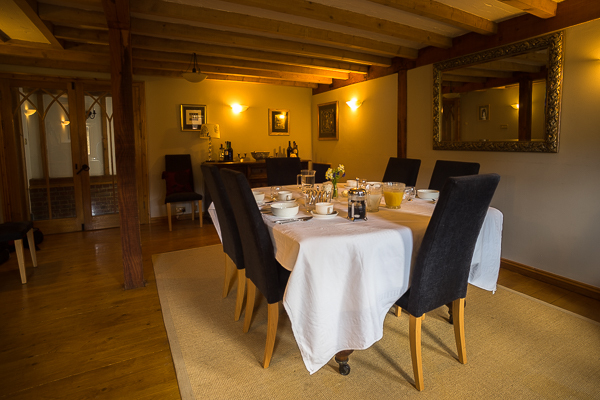 The breakfast room at North Downs Barn. One large double en-suite room for 2 adults. One small double room en-suite. Free fast wireless broadband (BT Infinity). Off-road car parking for all guests. Use of garage for motor bikes and pedal cycles. Use of the front garden for quiet relaxation. Packed lunches by prior arrangement.